the Mind and Soothing Muscles after Exercise! Pine Essential Oil supports healthy respiratory system*. Add it to your bath and sauna to de-stress and rejuvenate! First investigated by Hippocrates, the father of Western medicine, pine is soothing for stressed muscles and joints when used in massage. Another oil in what I call the Christmas Tree Essential Oil Line along with Douglas Fir, White Fir, Balsam Fir and Spruce Essential Oils. 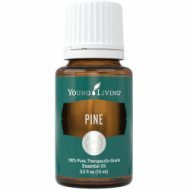 I love the smell of all the Christmas tree oils but I have to say Pine is my least favorite. But, they are all energizing to the mind, yet relaxing to the body which we all can use on a daily basis! Pine Essential Oil has been used traditionally for to support the respiratory system. It shares many of the properties of Eucalyptus globulus. And is found in a professionally made blend called RC (also contains three varieties of eucalyptus). Pine oil is also soothing stressed muscles following exercise. And is often added to baths and saunas for mental and emotional fatigue. Lastly, I would like to mention that pine essential oil is one of those oils that are frequently adulterated (changed). Turpentine, an inexpensive filler, is often added to commercial household and animal products. So please be careful as adulterated oils are toxic to the body and to our animals! As I do receive new information and testimonials for Pine Essential Oil, they will be added to this page. So check back frequently or subscribe to the Oil Blog so you don’t miss a thing! Please read below for more information on Pine Oil. It will tell you how to use it and what to use it for. It will also provide you with some suggestions, safety precautions for you and your pet! Want to Purchase Therapeutic Pine Essential Oil? Buy Pine Essential Oil Here! Why is this information important? There are over 100 species of Pine some. Additionally, there are several parts of the tree that can be used as well. Therefore, it is always important to know the genus species and what part of the plant the oil is distilled from. Remember, many companies may use a substitute species or a combination of species that may not offer the therapeutic grade oil. Even though they may share some similar properties they are not at all the same. Too many companies label essential oils generically which means none of us know what they are really putting in the oils they sell to us! Where is the name derived from? The name Pine comes from its Latin scientific name "pinus" meaning "pine". What is the ORAC Value? Either it hasn't been tested or it's too low to report! Anyway, I couldn't find this information anywhere so if you do, please let me know! Did you know that Hippocrates, the father of Western medicine, researched Pine for use in supporting the respiratory system? What are the Plant Properties? Soothing and balancing. What are the Documented Pine Benefits and Uses? Supports healthy respiratory system*. Soothes joints and muscles after exercise. What is the Aromatic Affect on the Mind? It is physically grounding and relaxing. Strong scent, balsamic, fresh and woody. What is the Spiritual Influence? Pine essential oil will ground the body and release stress by aligning the root, sacral, throat and third eye chakras. It will bring introspection for self and the community (group consciousness). 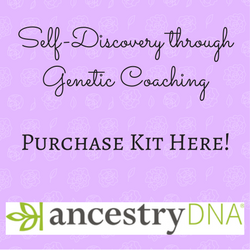 After all, we as individuals also must contribute to the evolution of the group as well. By the way, any of the oils that are from trees ( Western Red Cedar, Palo Santo or Cedarwood, etc) will provide stabilization, grounding and security to our being, physically and emotionally. Can this Oil be used for Animals? Yes, dilute accordingly. Do not use on cats unless it is therapeutic quality!!! Although I know it is very good for the respiratory system and repels fleas, I usually don't use it as a single oil around the dogs or horses. I use RC essential oil blend for supporting healthy respiratory system. And there are many other oils that are good for repelling fleas including Lemongrass and Cedarwood essential oils. Note about Animal Use: Certain oils can be very toxic to cats. Citrus and pine products and oils in particular that are not of therapeutic grade! Please consult your vet if you are not sure about applying any essential oil to your pet. What are the Safety Precautions? Because it is approved as a Food Additive (FA) and Flavoring Agent (FL) by the FDA, Pine Oil is readily available on the market in many different qualities. Did you know that the Native Americans placed pine needles in their mattresses to keep away fleas and lice? Did you know that approximately 30 percent of the 35 million harvested Christmas trees annually are Scotch Pine? Go to the Oil Shop! Buy Pine Oil Here! Blend pine and Eucalyptus globulus together in conjunction with massage to soothe muscles and joints after exercise. Place pine essential oil on the hot rocks of your sauna and enjoy!